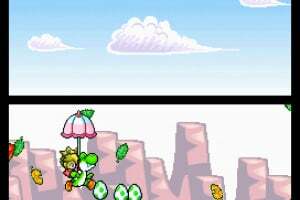 Super Mario World 2: Yoshi's Island for the SNES was revered as one of the greatest side-scrolling platformers ever made. 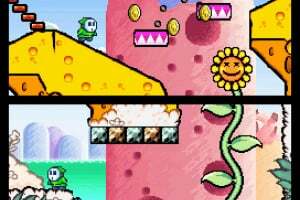 The lighthearted art style and compelling game play defined a genre. 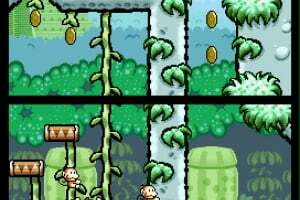 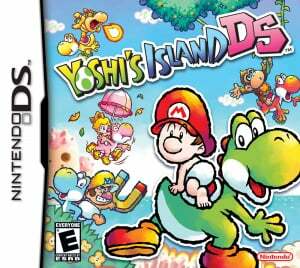 Now, return to the colorful wilds of Yoshi's Island in a new platforming adventure for the Nintendo DS. 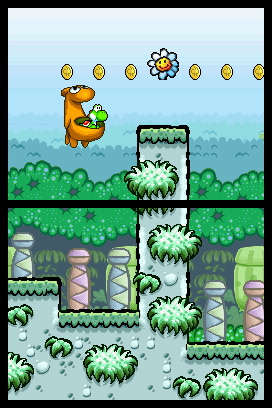 Kamek has captured Baby Luigi, and now Yoshi and his band of babies must rescue him. 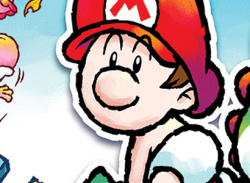 This time, Baby Mario, Baby DK, Baby Wario and Baby Peach are along for the ride. 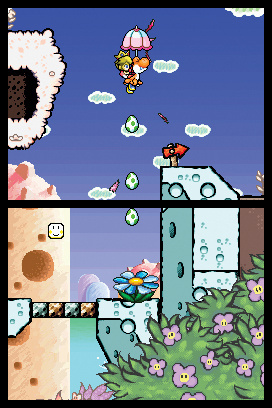 Each one gives Yoshi access to unique powers: While they cling to his back, Baby Mario gives Yoshi speed, Baby DK gives him strength, Baby Peach gives him the ability to fly and Baby Wario gives him magnetism. 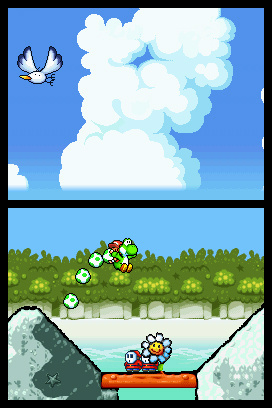 All of Yoshi's classic abilities are on full display. 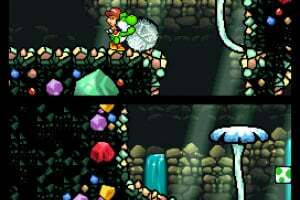 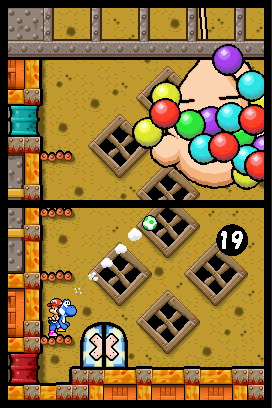 Players gobble enemies and either spit them out immediately, or turn them into eggs that they can throw at items and enemies. 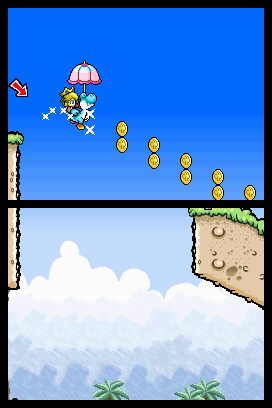 Pound the ground to flatten whatever's underneath, and flutter jump to traverse precarious heights. 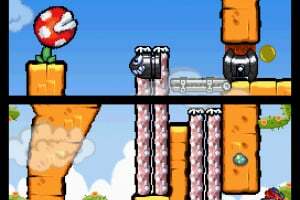 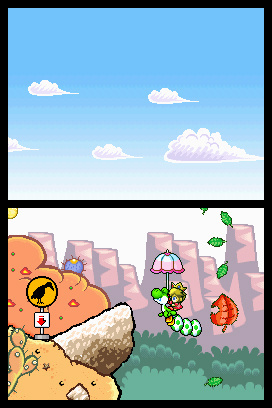 In certain areas, Yoshi can even morph into special vehicles. 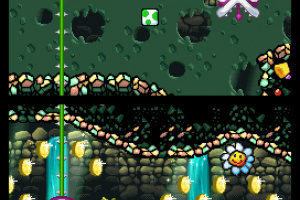 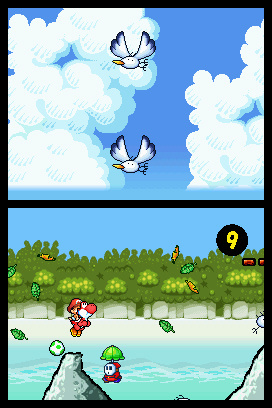 Thanks to the power of the Nintendo DS, all of the lush vistas and perilous paths of Yoshi's Island span two screens. 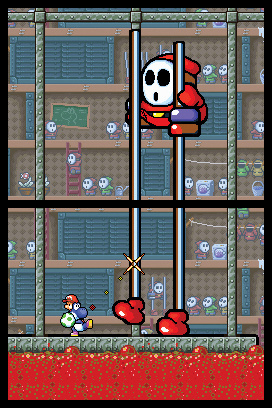 Players hit objects on the top screen while using the touch screen, and tackle super-tall enemies that fill both screens. 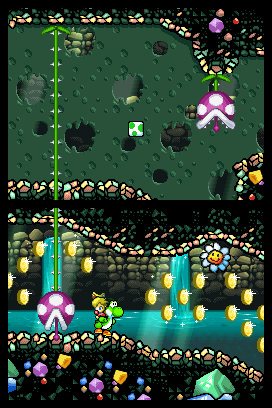 Hidden in every level are flowers, stars, red coins and character coins, so even after players finish the game, the challenge continues. 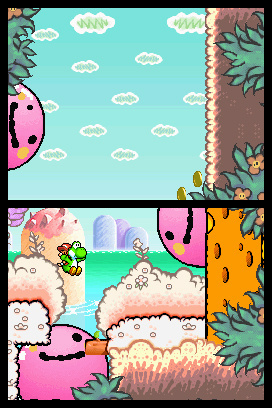 Game storyline: A mysterious floating castle has suddenly appeared over peaceful Yoshi's Island. 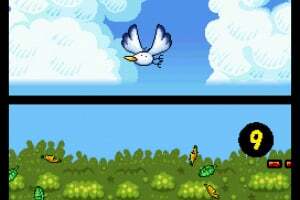 Soon after its arrival, kids begin to disappear. 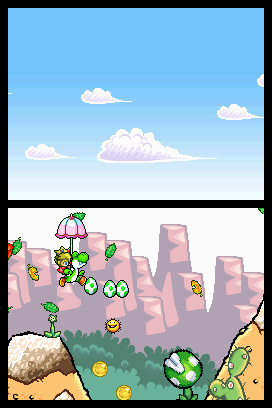 Baby Mario, Baby Peach, Baby Wario and Baby DK manage to avoid being kidnapped, but Baby Luigi isn't so lucky. 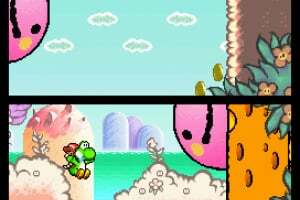 Now Yoshi and the four young superstars and must set out on a wild and colorful quest to rescue the kids and investigate the ominous castle hovering overhead. 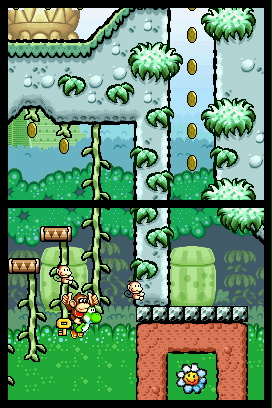 Characters: Yoshi, Baby Mario, Baby Peach, Baby DK, Baby Wario, Baby Luigi, Bowser, Kamek. 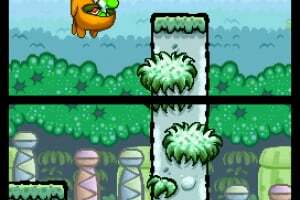 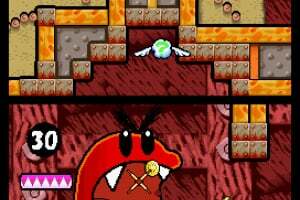 How to progress through the game: Players run, glide, climb and fight your way through five levels as Yoshi, gobbling up enemies as they go. 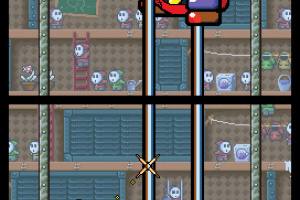 As they play through different levels, different babies will join the party. 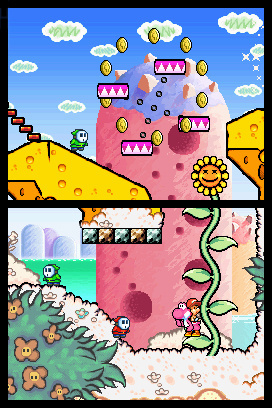 Depending on the baby on his back, Yoshi can adopt different abilities. 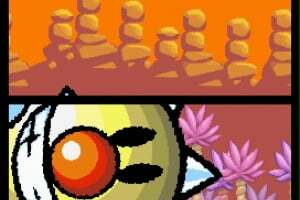 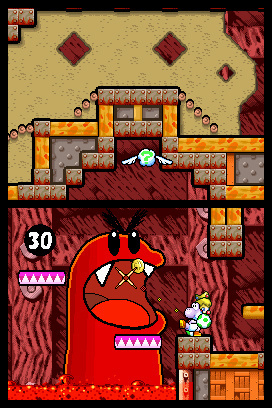 The main game play comes from using different babies' abilities to defeat foes and advance past obstacles. 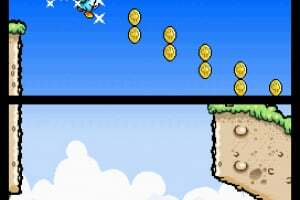 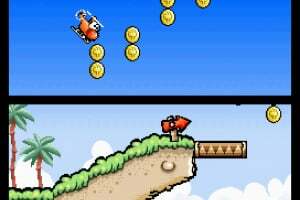 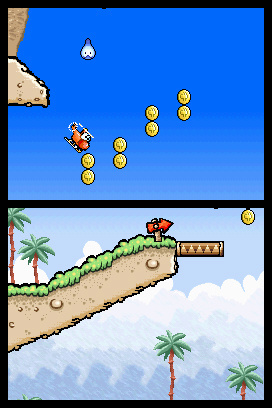 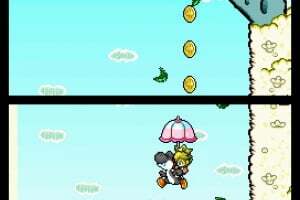 Each level is also stuffed with hidden items like stars, red coins and character coins, which give players bonuses when they collect them. 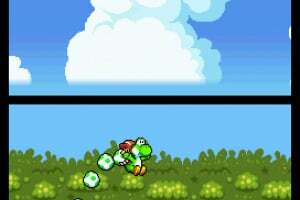 Special powers/weapons/moves/features: Yoshi returns with all the abilities we know and love: He can swallow enemies, turn them into eggs, throw eggs and flutter jump. 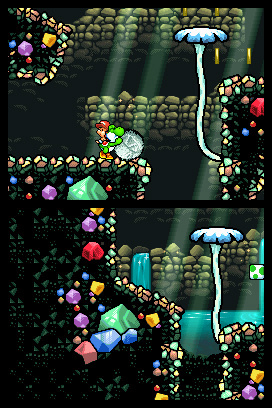 However, depending on the baby he's carrying, he also adopts new abilities. 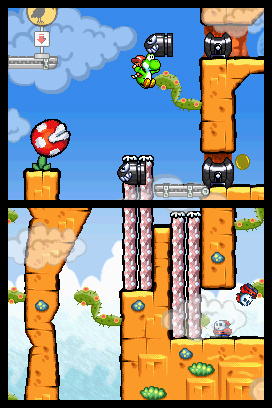 Baby Mario gives Yoshi the power of speed, while Baby DK gives him strength and the ability to climb vines. 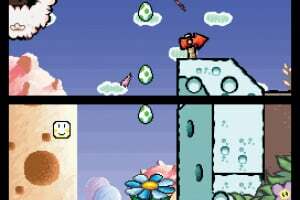 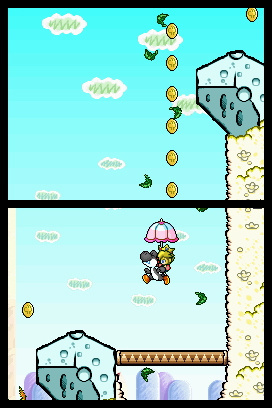 Baby Peach lets Yoshi float, and Baby Wario's giant magnet grabs metal items like coins. 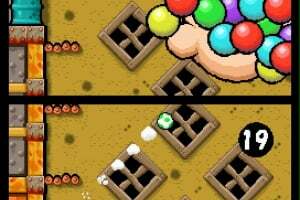 looks really cute and fun! 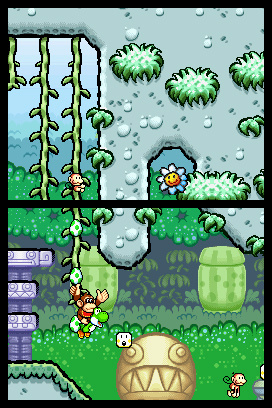 Personally, I love this. 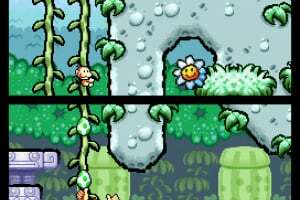 The original SNES game is one of my all time favorites, and this isn't exactly a remake of it, but like getting a whole bunch of extra levels and new cool features for the old one. 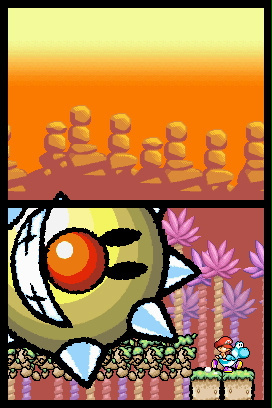 I don't know how anyone who loved the first game could possibly hate this. 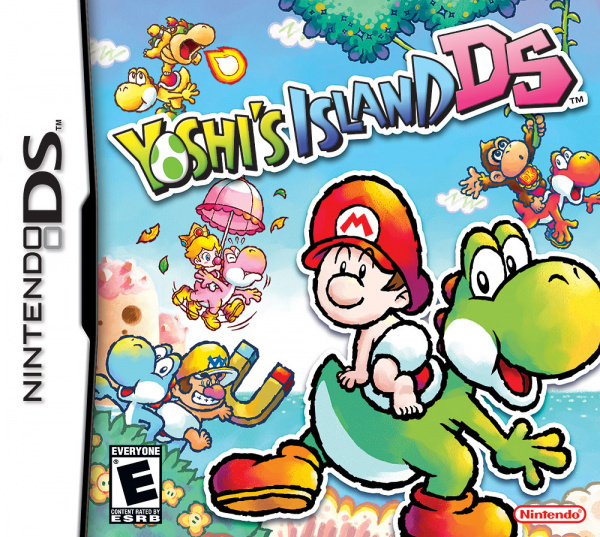 Even if it's not as good as the first, it's still a really great game.